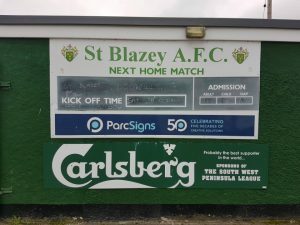 St Blazey went into this fixture as firm favourites after five wins on the bounce which included a 0v4 away win at today’s opponents. This was anything but straight forward as the afternoon went on. Dobwalls were the first side to have an effort on goal when an early free kick went wide of the left hand post. 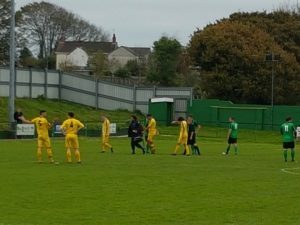 St Blazey suffered a set back soon after when Ollie Deadman went off injured. 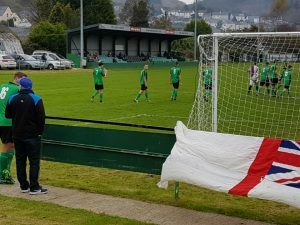 The first goal of the afternoon wasn’t long in coming as a great cross in from the right found Howe unmarked who’s header thumped against the bar and rebounded against the Dobwalls goalkeeper and into the back of the net. St Blazey were well on top with Perryman running at the Dobwalls defence before his pass through was cleared. Joe Stone had a header from a free kick go wide before a good move down the left involving Perryman, Saunders and Johnson left space for Howe who’s shot went high and wide. Dobwalls task became even harder late in the first half when they reduced to 10 men. Lewis Vooght defending put the ball out for a throw in and while on the ground the Dobwalls player appeared to kick out, right under the nose of the linesman. The referee had little option but to give him a straight red card. Half Time. 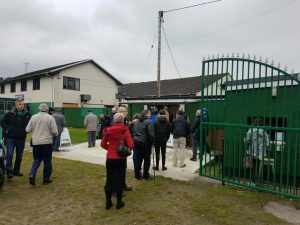 St Blazey 1v0 Dobwalls. 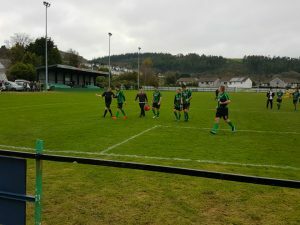 Dobwalls started the second half as they did the first with another free kick going over the bar. 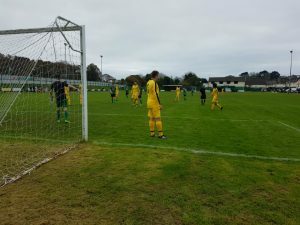 St Blazey came right back at Dobwalls and Saunders cross almost crept in. Dobwalls then had a good chance as a ball down the right found Dobwalls through on goal only for the shot to go well wide. 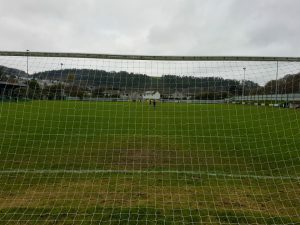 St Blazey doubled their lead in the 53rd minute when Johnson played Perryman in down the left and his low cross beat the goalkeeper at his near post and went straight in. 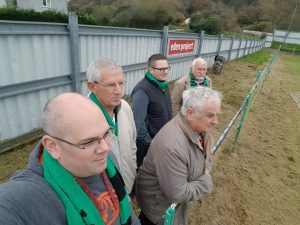 You could be forgiven for thinking the game was over as a contest but Dobwalls came right back at St Blazey, hitting them on the break, and Chapman in goal making a good save. Chapman then made an even better save as the ball found its way to the angle of the box and a great dipping effort needed Chapman at full stretch to tip the ball over the bar for a corner. 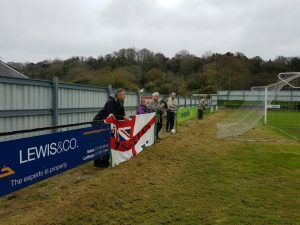 Lewis Vooght almost scored with a header from a deflected cross but Dobwalls were causing St Blazey no end of trouble. Another shot flew wide before they had a freekick which was floated in, headed partially away and Oxley drilled the ball home to give Dobwalls hope. 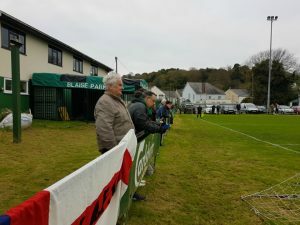 St Blazey looked tired, maybe the effect of the midweek win over Penzance and Dobwalls launched plenty of long balls into the St Blazey box but Chapman was fine form claiming everything. 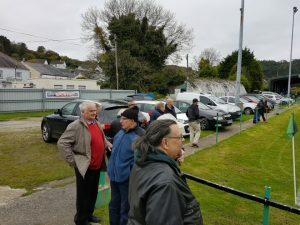 With the home supporters getting nervous, player manager, Stuart Morgan came of the bench to try and hold the ball up. 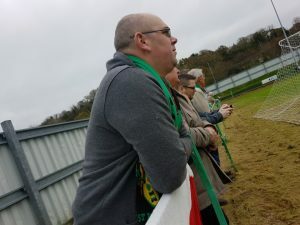 Lee Whetter up from the back headed over from a corner before Morgan finaly killed off the St Blazey nerves in the 87th minute as he was played in down the right and he curled the ball across the keeper straight into the far side of the net. 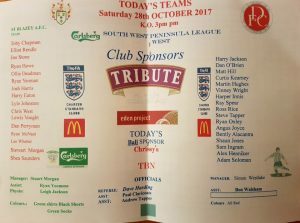 With the game now won, St Blazey found the extra gear against the 10 men of Dobwalls and Perryman was played in down the right on 89 minutes, who’s shot was saved and the ball looped up for Morgan to turn and fire in his second. 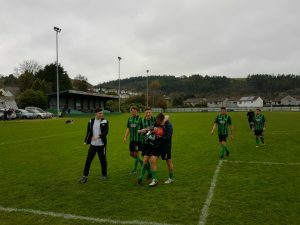 Dobwalls looked deflated after all their second half effort and a mistake at the back allowed Morgan to be played through on goal and he coolly slotted home his third to complete his hat trick. Full Time. 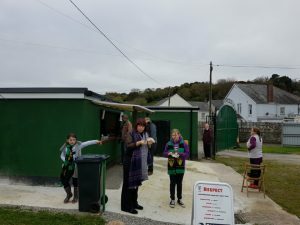 St Blazey 5v1 Dobwalls. Man of the match. Toby Chapman. Made two crucial saves and claimed everything with confidence. 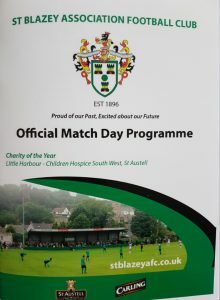 Next Saturday St Blazey welcome Porthleven to Blaise Park in the Charity cup 1st round with a 2:00pm kick off before returning to league action the following Saturday with a trip to Millbrook with a 2:15 kick off.